Hi! I'm Giacomo Falaschi, I study design in Florence, I work in Rome and I am the co-founder of FabLab Contea, a small town about 30 km far from Florence. 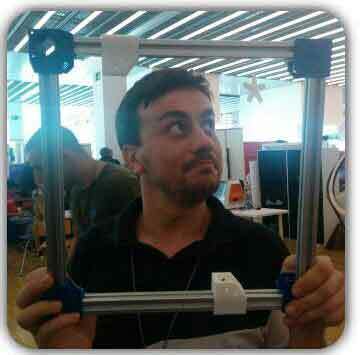 Thanks to FabLab Cascina that brought FabAcademy in Italy, this is the first year I can attend the FabAcademy courses. In this site you will find everything about my final project and the reports from the single week session. Twister is a Lego styled modular educational cube, able to rotate, change colors, connect wireless with other Twister, controlled by smartphone/pc and completely programmable.